The main aim of most businesses, no matter what industry they happen to be in, is to gain maximum exposure, break through the clutter and increase their brand awareness. This ultimately leads to brand loyalty and increased profit margins. The question a lot of marketers now ask themselves is, how do I get the exposure I want, and what methods can I use to convey our brand image as best as possible? Now the internet has become a big part of marketing, companies look to this relatively new platform to enforce a strong stance in their industry sector. With the help of this accessible and interactive medium, organisations are now looking to generate traffic from writing blog posts. According to Hubspot, “92% of companies who blogged multiple times a day acquired a customer through their blog”. Online visibility is basically your accessibility and the ability for users to locate you on the internet, most commonly decided by search engines. Blogs help in this case, as they are a viable way of pushing past your competitors on search rankings, due to the increase in online visibility that blogging has brought about. Consumers generally search for information about businesses before deciding to make their purchase. Blogs are a great way to give the consumer a personable way of finding out more about your brand before purchasing. Blogs are a great way to prove to the consumer that you are a trustworthy brand. 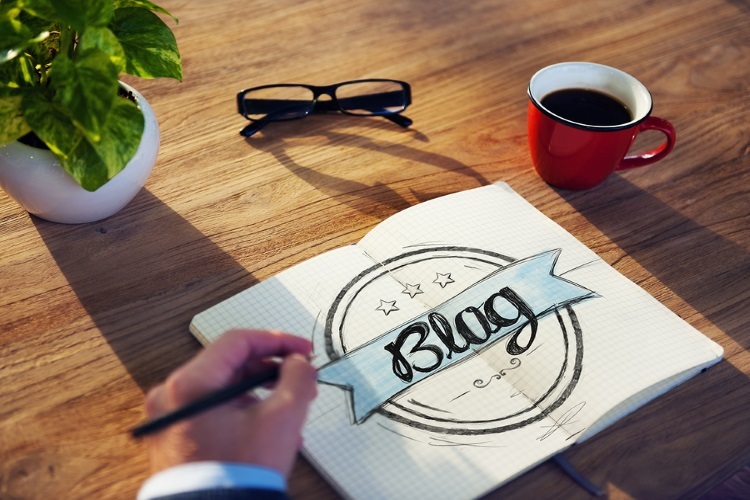 Not only does blogging answer questions and demonstrate knowledge to customers, it also dispels any scepticism they may have had previously had around your brand, as 60% of consumers feel positive about a brand after reading their blog. As well as this, 90% of blogs have accessible social media feeds working alongside them. For example, once a customer can physically see that your blog post has had 100 retweets, 100 Facebook shares and 10 comments, their trust is immediately increased due to their need of social proof. Connecting with consumers is instantly made easier through a blogging platform. Interactivity with your consumers is one of the best ways to develop that long lasting relationship that every company is trying to attain. People are more than likely to comment on your post, maybe asking a question or offering their own opinion, therefore opening the option for discussion. Neil Patel states that there are around 400,000 blog comments per day! Once a discussion begins, the likeliness that others will then have the confidence to join in is increased. Not only does this build interaction and engagement with the brand, but it can also increase SEO value and make your brand seem more approachable. Having more quality inbound links to your website increases both ease of visibility to customers, as well as the validity in SERPs. “The average company that blogs gets 97% more inbound links”. Blogging is a great way to be recognised by authoritative websites, thus creating a higher likelihood of those sites linking to your own. Increasing the number of indexed pages available in SERPs Is a great way to increase your SEO visibility and ranking. The more pages you have on Google, the more results that are likely to show up in relevant searches within the search engines themselves. Blogging offers a great tool to dramatically increase indexed pages and increase the visibility of your own website. According to Social Media Today, websites that have active blogs have on average 434% more indexed pages, meaning 434 times the amount of potential pages visible to consumers. Once a blog post is distributed via social media feeds and is easily viewable, it is an incredible way to generate an interest of some kind from customers. If you can create compelling enough content that instantly draws a readers interest, you may have converted passing trade to a regular customer. Neil Patel suggests that 70% of consumers learn about a company through its blog versus ads, from here 61% of consumers have then made a purchase based on a specific blog post they have read. These statistics go to show how people prefer useful content over targeted ads, blogging is the perfect platform for this. Finally, and most importantly, people love reading blogs. According to Quicksprout.com, over 329 million people view more than 25 billion blog pages each month. As well as this, 82% of your consumers enjoy reading relevant content from company blogs. Giving the consumer something they enjoy that also adds an increased likelihood of increased sales is a no brainer! As long as you can create a compelling blog, the audience is already there readily waiting to read.